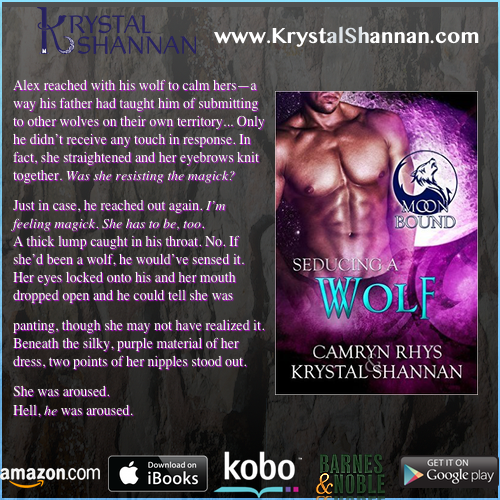 Seducing a Wolf is the 5th book in my paranormal romance shifter series, Moonbound. The complete paranormal romance series is now available! The Moonbound series was so much fun to write with my fellow author, Camryn Rhys. If you have not checked out this werewolf shifter series, now is your chance! Seducing a Wolf is #5 in the Moonbound Series, meant to be read in order, and a spinoff of the VonBrandt Wolves from Somewhere, TX.